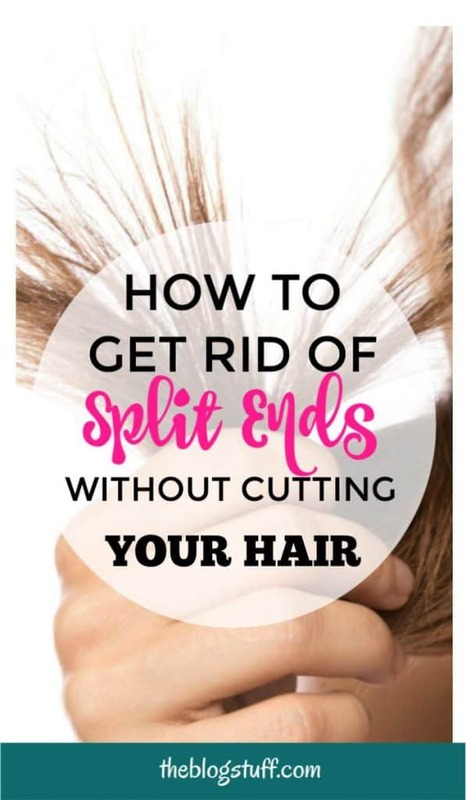 Want to know how to get rid of split ends without cutting your hair? I guess you love your long hair so much that you want to repair it without having to cut an inch. For the most part of my life I have had long hair and only the thought of cutting it made me feel sick. 1 Why Do You Have Split Ends? Why Do You Have Split Ends? Heat – Frequent use of hairdryers, irons and similar tools end up damaging the hair. If you must use these tools don’t forget to apply a heat protectant product. Sun – Over exposure to the sun damages the hair and makes it dry. Again use a product to protect your hair from sunlight and a hat. Harsh Brushing – Go easy when untangling your hair. If you aren’t careful it could break your hair or split your ends. Using untangling products and wide tooth combs will make it easier. Chemical Treatments – Who doesn’t like a change in color or hairstyle? But it comes with a cost. The chemicals used in those treatments make the hair drier. This could lead to damaged hair and split ends. Use a hair repair treatment once or twice a week to lock in moisture. Side note: I know you probably don’t want to hear this but I will tell you anyway. The best way to deal with split ends is to trim them. It is the only way to prevent further damage. Regular visits to the salon are recommended for a reason. No only keeps the hair healthier but it also makes it grow faster and stronger. And this will prevent breakage and split ends. Isn’t that what you want? Having said that, there are things you can do to prevent and repair split ends before the damage get too serious. 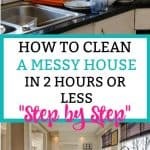 Let’s start with ways to take care of your hair at home. 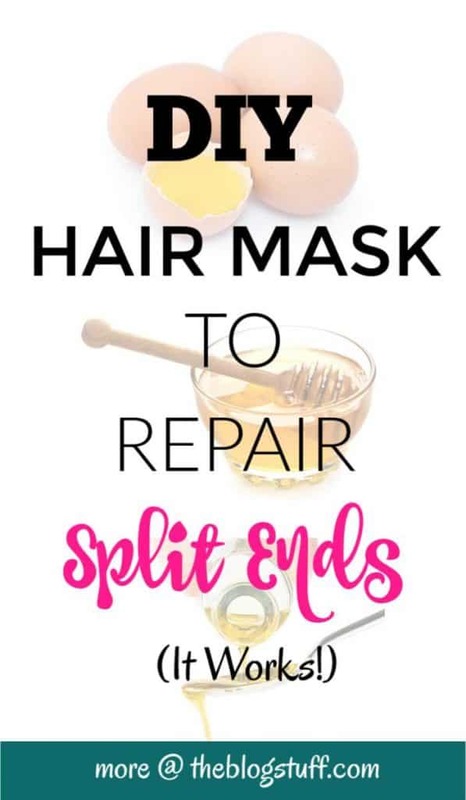 I have 3 great DIY masks to prevent split ends. These “from your kitchen masks” will help you on your quest to get healthier and stronger hair. 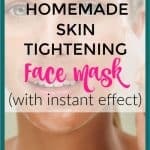 Very easy to make and with amazing results. # Melt few pieces of butter and apply over the ends of your hair. # Cover with foil paper. # Mix the vinegar and lemon juice. # Wash your heir ends with this mixture. # Add more or less amount of yogurt depending on consistency. # If you don’t have a blender just crush the papaya with a fork and mix with coconut oil and yogurt. # Apply with your hands over the scalp and massage for one minute. # Apply to the rest of the hair. # Massage the ends of your hair too. # Cover your head with foil paper. # Leave on for 30 minutes. # Wash your hair as normal. # Place the egg yolk in a bowl and add the honey. # Add the olive oil to the mixture and mix it well. # Apply only to the ends of your hair. # Massage your hair for a while. # Leave to sink in. # After 20 minutes wash your hair as usual. TIP – Avoid using elastic bands made with plastic or rubber. Instead use hair friendly elastic bands that can be easily removed. # When possible let your hair dry naturally. # Keep using heat styling tools to a minimum. # Use a hairdryer nozzle and keep it at a distance from your hair. # Make more use of the cool setting. # Dry your hair with a microfiber towel. # Apply oil on the scalp and hair before you wash it. # Rub a tiny bit of oil on the hair ends after wash.
# Use a wide tooth comb to untangle hair. Start with the ends and comb your way to the top. If your hair is long holding it while using the comb will prevent breakage. # Don’t over wash your hair. # Use a deep conditioning treatment once a week. # Sleep on silk pillowcases such as Natural Silk Pillowcase from Alaska Bear. Effective in preventing frizzy hair, hair breakage and facial wrinkles. Want to grow your hair naturally? Check the recipe for this amazing DIY hair growth serum. TIP – Don’t rub your washed hair with a towel. Instead wrap the towel around your hair until it absorbs the excess water. How to get rid of split ends without cutting your hair? Use these DIY serums. 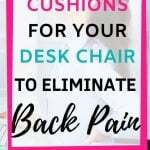 They work wonders. I have selected 2 diy serums. Both of them give great results, the only difference is the ingredients used. # Mix all the oils together. # Transfer to a container with lid. # Apply a tiny bit over the ends of your hair. # Use it over dry or wet hair. # Is a leave-in serum. # No need to rinse. I have made this serum and I really like it. The recipe is made by a chemist. The only downside is that is in Spanish but I have translated most of it. Just check the video the see how she prepares the serum. To be precise with the measurements you will need a multi-function digital scale. Now measure the distilled water and aloe vera and mix them together. Incorporate the distilled water/alove vera mixture to the glycerin/xamthan mixture. Add the jojoba or coconut oil and mix well. Add the grapefruit seed extract (natural preservative to make the serum last longer). Transfer to a container with lid. The serum has a silky texture similar to the ones you buy in shops. # Rub the serum between your fingers and apply to the ends of your hair (a tiny amount is enough). TIP – The serum is better absorbed when applied over towel dried hair. 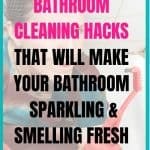 It also makes untangling hair easier. ✅ If you need Xantham gum for your DIY recipes or for thickening food check Kate Natural Xantham Gum. # Melt the bee wax. # Transfer to a container. # Apply on the ends (on dry hair). # Place lid and keep in a cool place. Now is time to have a look at what kind of treatments can fix your split ends at the salon. ✅ If you don’t have time to make your own balm try Schwarzkopf BC Bonacure Repair Rescue SEALED ENDS. It does a great job in sealing split ends. Consist on the application of a special product that repairs and seals broken damaged ends. It last up to 4 weeks and is especially good to protect the hair from further damaged. Ask for this treatment at the salon if your hair is dry and dull. Excellent to lock in moisture and prevent hair breakage and damage. This treatment is especially good if you have frizzy or lackluster hair. It works by smoothing out the hair and restoring shine. The hair will appear smoother and healthier. 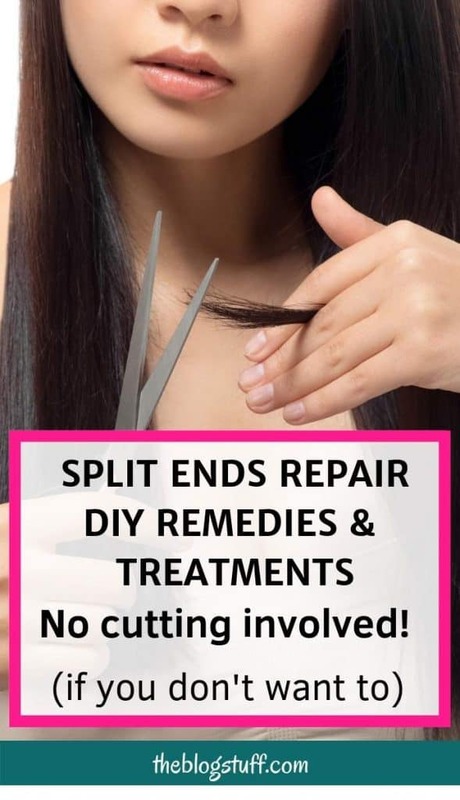 As you can see there are many tips, tricks, homemade remedies and products that will keep get rid of split ends without having to cut your hair. But remember that the best treatment is prevention. Don’t go crazy with chemical treatments and styling tools. In this case less is more. If you are dreaming of longer, healthier and stronger hair go and have a trim. The longer you put it off the more damage you will do to your hair. Crash diets are also very bad news for hair and your health. Use products that are nourishing and eat a hair friendly diet to strengthen hair from within. What are the best foods for hair? Proteins found in eggs and fish, food rich in omega 3 like salmon, zinc, seeds, nuts, vitamin b complex and iron. Love your hair and it will love you back. Do you have your own tips to get rid of split ends without cutting your hair?Share your secrets!